In a report released by the Air Transport Action Group (ATAG) last year, 37.4 million flights were scheduled in 2014 – a figure that translates to an average of more than 100,000 flights per day. Add to that other major modes of passenger and cargo transport that include sea and rail, and the mind staggers to appreciate the amount of fuel that is required on a daily basis to enable such activity on a global level. As one of the world’s renowned manufacturer and support provider in the refuelling equipment industry, Refuel International plays a major role in sustaining this high industry demand. They have forged a reputation for high quality world-class solutions that have yielded customer accounts with some of the world’s largest oil companies. So when an order of five Hydrant Dispensers for an international airport in Vietnam came through towards the end of 2014, it was not unusual. A Hydrant Dispenser is capable of efficiently dispensing aviation fuel from an underground hydrant system into a jet aircraft by aviation refuelling personnel via the underwing nozzles. With over 1000 refuelling vehicles already in operation globally, for Refuel International, what made this project different was that it marked the first opportunity to roll-out a new-to-market model. “When we took on this project, it became clear that our clients needed a better Human Interface solution – it was really important for our systems to be able to convey the right information to our customers”, said Refuel International’s Engineering Manager, Brendan Corrie. In this situation, finding a trusted industry provider of industrial electrical equipment is so important. Where for some, the stringent safety and hazardous area requirements specified for the project, as well as other customised design elements may have been daunting, Brendan knew exactly who to approach. Having previously worked with NHP Electrical Engineering Products on the manufacture of hydrant dispensers, he knew he could rely on the strong working relationship and appreciated the shared values of these two local companies. “Combining our shared expertise, innovation and value of high quality products, Refuel International together with NHP successfully developed a solution that not only satisfies this client – but forms a ‘blueprint’ for its manufacture moving forward”, he continued. Utilising their local manufacturing, engineering and design teams, NHP were able to provide a ‘plug-and-play’ style solution that provided a significant labour saving to Refuel International, as well as the end user. NHP’s ability to custom manufacture in conjunction with their exclusive hazardous area and automation supply partners, gave this project the flexibility to implement system modifications with minimal lead-time. 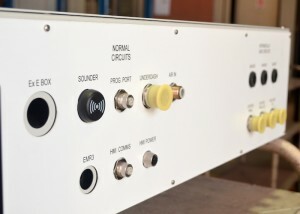 After months of engineering and innovation, the development of Refuel International’s new electrical system – named ‘OCTO’ is complete. OCTO places a large focus on easy maintenance and simplified installation for equipment operators, and is the only system in the industry with IECEX and ATEX certification. It provides comprehensive management for the refuelling equipment, and is the solution that improves serviceability and safety, while maximizing productivity and reducing costs for customers. OCTO is designed in such a way that it reduces complexity, is easy to use and enables real time data visibility. 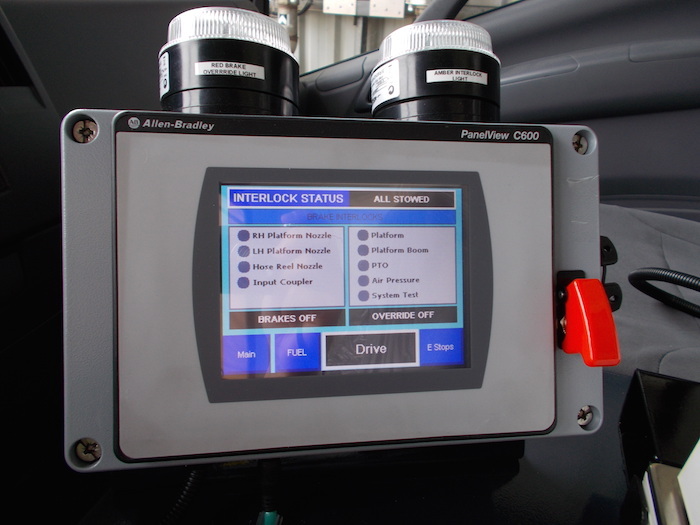 The ‘Touch-Screen’ in-cab provides Interlock Status and other relevant warnings on the screen. A newly improved reliability feature is the self-diagnostic sensor, which allow quick and simple fault diagnosis. Parts can be easily replaced on the tarmac or workshop, reducing downtime and avert drive aways. “One of the leading benefits of the new OCTO system is that it can help operators distinguish between user error and a genuine system fault”, Brendan said. OCTO captures all operational data such as refuelling time, number of operations and measures performance while still guaranteeing safety. It incorporates a telemetry system which allows for remote monitoring and data access. This enables more swift and precise corrective actions to be taken, and aids in issue traceability. The result has seen the OCTO system offers both live reporting and visualisation of the unit’s running condition courtesy of an improved graphical user interface. The implementation of a self-diagnosis function also helps operators identify a potential system fault. With a smaller cab footprint, OCTO can be easily retrofitted onto older refuelling vehicles. 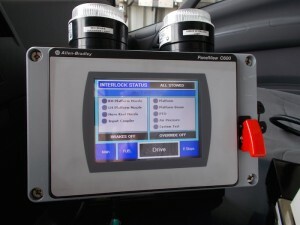 Refuel International can also customise the system to suit individual operating process.